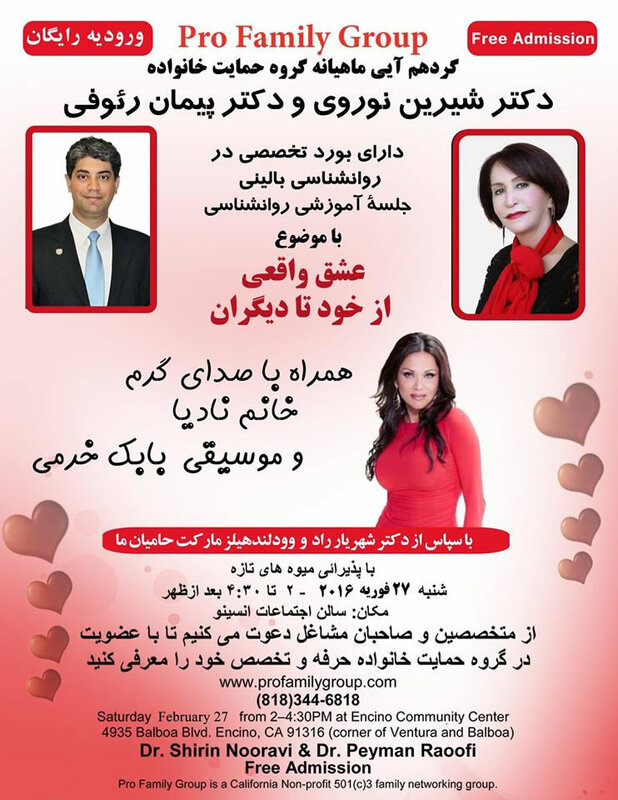 Psychology seminar by Dr. Shirin Nooravi and Dr. Peyman Raoofi . Entertainment by:? Nadia & Babak khorrami music . Free admission. at Encino Community Center, at 4935 Balboa Blvd, Encino. information: 818-344-6818 .